Hello Linux Geeksters. For those who don’t know yet, CuteSpotify is a Spotify client that has been developed for Ubuntu Touch, Canonical’s mobile version of Ubuntu. Having an intuitive GUI written in QT, the app enables the users to search and play music from the Spotify database, manage playlists and others. A while ago, Mike Sheldon, the CuteSpotify developer has started work at porting the app to work on Sailfish OS, the Meego based mobile operating system used as default on Jolla’s first smartphone, enabling the users to use the main functions of the open-source Spotify client on their Jolla device. 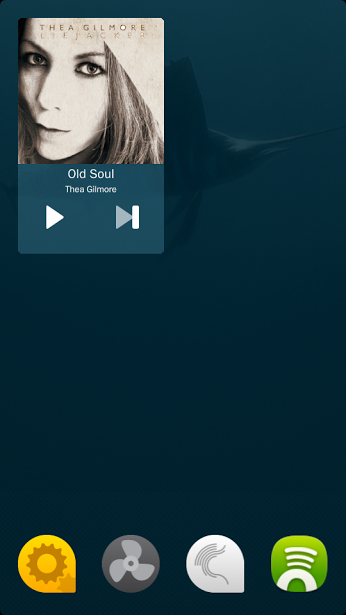 Now, A demo video of the Alpha Version of CuteSpotify running on a Jolla device has been leaked on the internet. For those who don’t know, Jolla is a project developed by former Nokia employees. The first Jolla smartphone is running on Sailfish OS, a modified Megoo Linux system, which is Android compatible, uses Wayland as the default display server , uses Nokia N9′s Maliit touchscreen keyboard and comes with interchangeable covers, allowing the users to easily switch them, in order to change the color/model of the phone and comes with impressive hardware specifications. Apps can be installed via the Jolla Store, which will provide both Jolla and Android apps, or via F-Droid and Yandex Store, but some tweaking can be done, in order to get apps directly from the Google Play Store.